Babyology can give you the first, exclusive look at InfaSecure’s new Pink Swirl design – which is not only a winner in the child car seat style stakes, but is also raising funds for a great cause. It always lifts our spirits when we see our favourite companies giving back to the community. Almost on the eve of Mother’s Day, InfaSecure has launched a campaign which raises funds for something close to many women’s hearts. 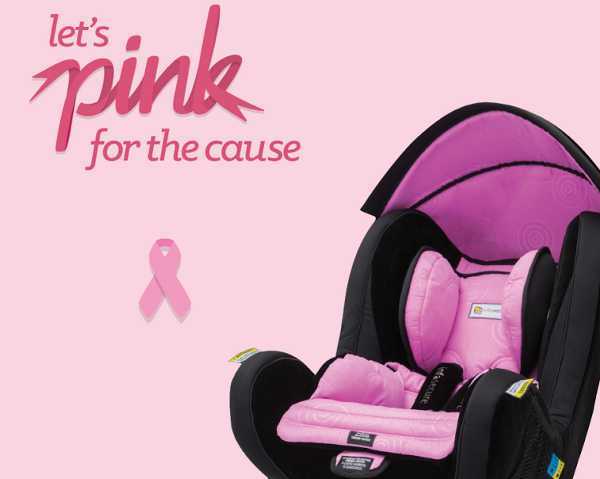 The new Pink Swirl Caprice child restraints go hand in hand with InfaSecure’s new Let’s Pink Breast Cancer Fundraising campaign. The new Pink Swirl Design for InfaSecure’s popular Caprice range of child restraints will be available for purchase from the Sydney Pregnancy, Babies and Children’s Expo on 23 May, 2014. Five dollars from each Pink Caprice sold will be donated to the Breast Cancer Foundation of Australia, as part of InfaSecure’s month-long Let’s Pink campaign. The vibrant new Pink Swirl Caprice design will be available on all existing Caprice child restraints; the Comfi, Caprice, Luxi Caprice, Kompressor Caprice and Vario Caprice.